This is such a great way to show your love for your little ones! Head over to get this iLike Book for Kids for ONLY $5.99 (Retail $19.95)! 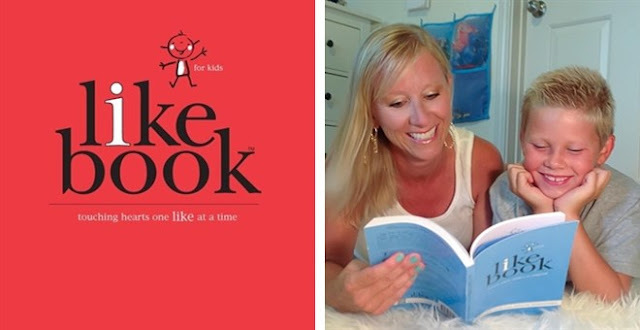 The iLike book for kids is the newest and best way to build your child up one LIKE at a time while allowing you to verbally praise them. This 12 month journal will allow you to show your child all of the big and little things you LIKE about them consistently. It has an open date format so you can start any day of the year. The iLike book for kids is filled with fun stories, quotes, tic tac toe, places to doodle or color, cool images and many places to add pictures and/or mementos. In this special book that your child will cling to, you simply write what you LIKE about them and express it verbally too. Your child will feel loved, safe, unique and special.